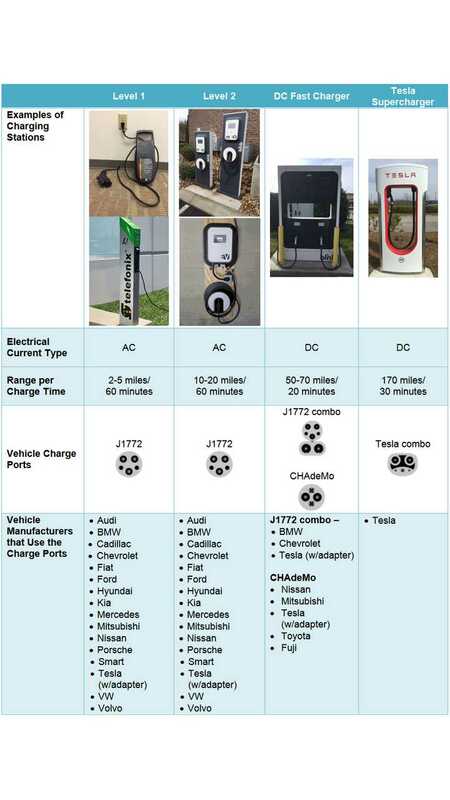 Electric Vehicle Charging Options In The U.S. Most electric vehicle veterans and enthusiasts are familiar with the topic of EV charging and all its variations; but for those who are new (the rest of the 99% of new car sales) it's still more black magic. U.S. DOE Office of Energy Efficiency & Renewable Energy comes to the rescue with a helpful presentation about charging station technology in the US (graphic below)..
At the basic level, there are AC (Alternating Current) charging options (using an on-board charger) and DC (Direct Current) options (using an off-board charger, of typically much higher power). Both AC and DC charging can be done at various power levels, which depends both on the charging staton and the car (separately some conditions can lower the charging power - high or low temeperature for example). Not all cars are equipped with DC fast charging, and accepted power inputs differs - both in the case of AC and DC. On top of the basics, there are different charging plug standards and charging networks. Different brands uses different DC fast charging standards, while in case of AC, thankfully everyone sticks with a common plug - SAE J1772, which is what is used most often (~99.8% of the time) in residential applications. The topic of charging is not only complicated at the moment, but also still isn't finalized, as the industry needs to (and should) evolve to an ultimate standard, and then scale up to the most usable power levels (especially for DC fast charging - as of now aiming in the 150 kW range). 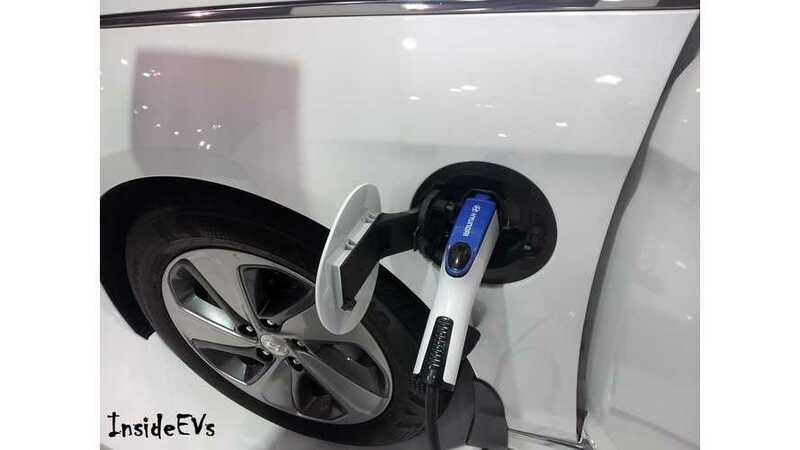 At the early stages, DC fast charging at 50 kW was often called Level 3, but few years ago SAE released papers presenting Level 1 and Level 2 steps also for DC charging (DC Level 1 up to 40 kW, and DC Level 2 up to 100 kW). All in all, it's only definition is not that much needed for the user, because charging power is "negotiated" between charging station and the car. Anyway, more than 100 kW would now be considered Level 3. The higher the charging power, the quicker range is replenished. Depending on the car we could assume 15-20 kW is needed to add 60 miles of range in an hour. If you double the power, you will be able to charge twice faster (provided the EV is able to accept). At higher power levels, charging power is significantly decreased with the increasing state of charge of the battery - so don't count on a constant 40kW input in say a BMW i3, Spark EV, or a constant 100-135 kW DC fast charging for a Tesla. The average power will be lower than peak capability of the DC fast charger, so it's smart to charge from low state of charge to 50-80% after which charging slows down even more. AC = Alternating Current. DC=Direct Current. 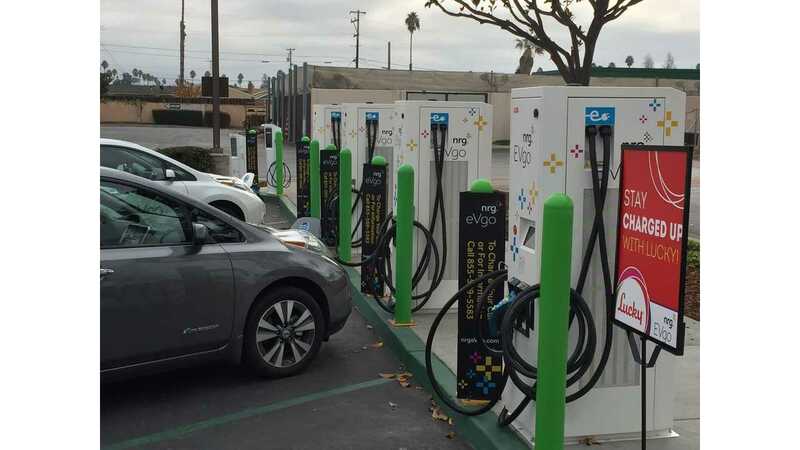 Sources: U.S. Department of Energy, Alternative Fuels Data Center, “Developing Infrastructure to Charge Plug-In Electric Vehicles,” website accessed 3/04/2016. Tesla Motors, “Supercharger,” website accessed 3/04/2016. Plug-in Cars.Com, “Denver Airport To Install Level 1 120-Volt Charging for Electric Cars,” website accessed 3/08/2016"